Chris is a Fellow member of the Institute of Chartered Secretaries and Administrators of Southern African and a registered member of the Professional Practice Group, the Chairman of the Western Cape Branch of the Institute and a Director of the Institute of Chartered Secretaries and Administrators of Southern Africa. 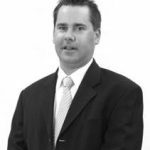 Chris is well known in South Africa as one of the leading Company secretarial consultants and will often be consulted by other practitioners on complex company secretarial services issues. The South African Revenue Service (“SARS”) issued a communication on 14 February 2017 and a binding general VAT ruling in May 2017 confirming the interpretation of the VAT law that requires non-executive Directors (“NEDs”) of companies to register for and charge VAT in respect of any directors fees earned for services rendered as a non-executive director. The value of the fees must, however, exceed the compulsory VAT registration threshold of R 1 million in any 12-month consecutive period, but NEDS can voluntarily register for VAT as well. Previously the NEDs were subject to employees tax (PAYE) because the director’s fees received for services rendered were considered remuneration. After consultation, review and application of the law, SARS has confirmed that a NED is regarded as an “independent contractor” and any directors fees paid or payable to a NED for services rendered in that capacity are not regarded as remuneration. NEDs receiving director’s fees exceeding the compulsory registration threshold are required to register as a VAT vendor from 1 June 2017. However NEDs will not be required to account for VAT in respect of directors fees received prior to this date, provided such NED was subject to PAYE. Should you require any assistance with the VAT registration process, please do not hesitate to contact Kilgetty Statutory Services.